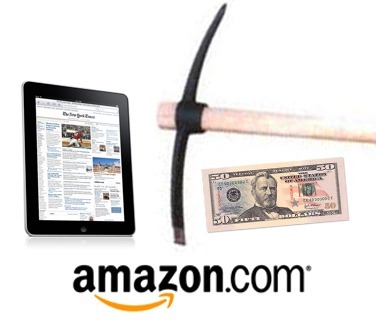 Ever thought about buying items on amazon to resell for profit? You can make spare cash or get great deals online with patience. As I have said in the past, I believe I have a strength in knowing what things are worth. Having this strength allows me to search Amazon for underpriced items that I can buy and resell for profit (Usually selling on eBay). Let me give you an example. A while back on amazon, Super Nintendo Final Fantasy 3 cartridges (I realize I am an epic nerd) were down to about $8 dollars shipped from individual sellers (They were approximately $40 a few months prior). I purchased 2 of about the 10 available between $8 and $10 (taking lowest price and best quality ones.) I later resold on each eBay for $19.99 + $4 shipping , which after fees and shipping netted me about $18. That’s a net of $10 or +125% Return on investment. In hindsight I should have bought all 10, but it took me about 2.5 months to sell those 2 cartridges, so I don’t regret it too much. I really was just doing it to prove that I could. I know what you are thinking right now, That’s a lot of work for $20. I agree, but there are times where this method can result in a higher profit margin. Sidenote: Final fantasy cartridges as a long-term investment? Back in March of 2011 the iPads 2 came out and within the first couple days of the release, the iPads 1’s prices went to unreasonable lows. Within the first 7 days at any given time, there was probably about 100 – 1st generation 16gb Wi-Fi only iPads going for under $280 dollars shipped. Some as low as $250. On top of that, these were mostly people who included original packaging, apple cases (which cost more), and other goodies. They were the first to sell because they were earliest adopters of the iPads 2. It’s also good to know there is a strong correlation of how well people take care of their iPads 1 to the the date they adopt the iPads 2.
iPads with higher storage and 3g were just as discounted – and this setup a major opportunity to score a deal. As of right now (7 months later) those exact iPads are going for about $325 – $340 (+$75 – $90). Let’s be conservative and say it was $50 a unit. What is to stop you from buying 10-20 of these and selling on craigslist or eBay to turn a quick $1,000 profit? (Note: Amazon has an anti-resell policy) If you get an iPad that is broken or not to your liking, no worries, you are covered by buyer’s protection. I personally have bought iPods worth $120 for as low as $60. I’ve even seen t1i’s and t2i’s $150+ underpriced. Effectively this is arbitrage, but I can tell you personally it has resulted in in a lot of spare cash for me. 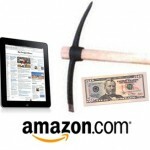 Maybe it isn’t about making money to you either, maybe you really want an iPad 1 or iPad 2. Simply make a bookmark to link below of the iPad you want and check the used price everyday – It fluctuates a lot (and will fluctuate even more when the iPad 3 is released). Patience pays. Just to illustrate how much prices change – here are some links and prices as of 10/23/11 of the lowest used item. If you do buy on amazon, don’t forget to go to the grocery store and buy amazon gift cards for extra savings through gas perks if available. Disclaimer: Keep good records, pay all require taxes, follow all federal, state, and local laws.